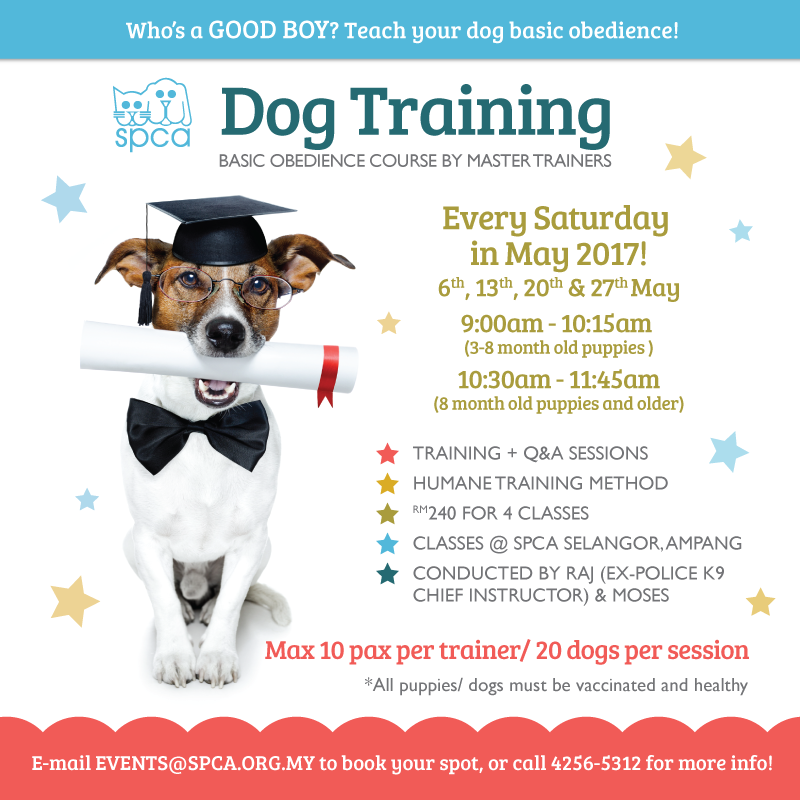 We will have a 4-week basic obedience course for dogs and their owners in May! Call 42565312 or email events@spca.org.my for more info or to sign up! Limited spaces available.